Can I Draw It With A Crayon? The 7-year old listened as his teacher asked the class to draw a picture of what they wanted to do when they grew up. He didn’t hesitate. Ever since he was three, when he received a red plastic baseball bat, he had known what he wanted to be when he grew up. So, he picked up a crayon and drew a baseball pitcher. He scrawled the words “Make a million dollars” above it. 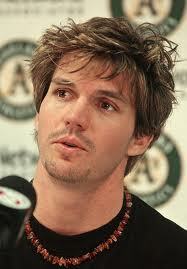 Barry Zito had a goal. After college, Barry was selected by the Seattle Mariners and the Texas Rangers, but politely declined both teams, turning down not one – but two – chances to play in the big leagues. A year later, he signed with the Oakland Athletics – for a signing bonus of $1.59 million. 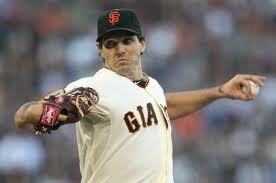 Barry Zito had achieved his goal. But that was just the beginning. Seven years later, he signed a new contract – for the highest amount ever paid to a pitcher at that time. It is approaching that time of year when we take stock of all our accomplishments from the past, and look forward to what we want to do next. There are three basic approaches that most of us take. Some of us just keep doing what we are doing, without much thought or focus about the future. Some of us think about the future, but don’t spend time forming specific goals. And then there are the magic people, the ones that really take the future seriously. They crystallize their dreams into goals, write them down, and develop a plan to reach them. What about you? What is your goal? Is it so clear that you can draw it with a crayon? How do you set such a goal. Well, for openers, it helps to be S.M.A.R.T. For more information on goal setting, request the free SMART Goals™ worksheet, available through terrydnewberry Seminars at terrydnewberry@bellsouth.net. This entry was posted on Friday, November 18th, 2011 at 4:38 pm	and tagged with Barry Zito, goals, inspiration, Oakland Athletics, Pitcher, terry newberry, Texas Rangers and posted in Uncategorized. You can follow any responses to this entry through the RSS 2.0 feed. Great post. Goal setting is the most important thing we can do if we want to increase the amount of success we achieve in this life. If you’re interested, I just released an e-book on goal setting that you can download for free at http://denvergoals.wordpress.com (you don’t even need to give me your email address – just click on the .pdf icon and the book is yours). In the book I introduce a new method that helps people achieve their goals (after they’ve set those SMART goals you mentioned in your post). It’s called the EASIER Method. I’d be very interested to hear your feedback. thanks Justin! I will definitely check it out! Thanks for the post about goals! My 2012 goals are drafted and in the revision process. Julia, that is great! I wish you the best of success. Let me know if I can help you in any way.